On the day, 400 turned out in Duke Street. When they tried to march towards the Craigavon Bridge the police blocked their path. 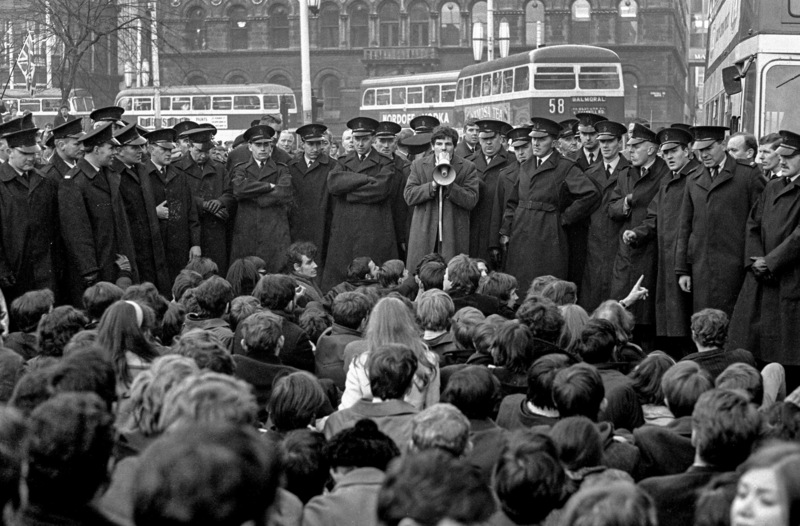 The marchers sat down singing ‘We Shall Overcome’ and the RUC closed in ruthlessly, beating everyone in their way. A TV camera was on hand to capture the images of police brutality and an explosive mood gripped Catholic areas, but also gained the sympathy of large numbers of Protestants, particularly the young. If the anger of the working class, Catholic and Protestant, had been harnessed in a united movement, Unionism and Nationalism could both have been swept aside in the succeeding months. 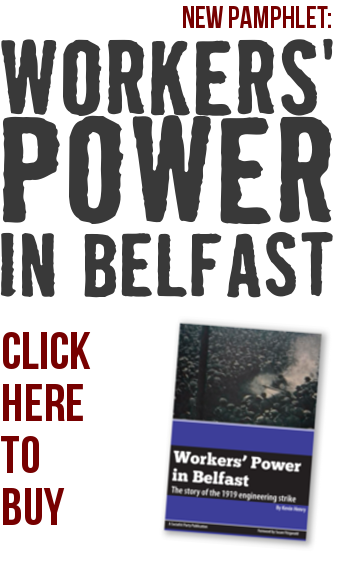 What was required, first and foremost, was the putting forward of a class programme which could unite workers in action against sectarianism, state repression and poverty. A fighting, socialist leadership, drawn from and representing both the communities and the mass workers’ organisations, the trade unions and left parties could have come to the fore.